Can’t you just picture your kid screaming that at the top of their lungs à la Dave Seville? Don’t look at me like I’m crazy. You know EXACTLY what I’m talking about. I grew up on those furry little creatures and always got a kick out of the mischief they got into. Now, years later, my son is able to share in mommy’s trip down memory lane with a newer, hipper Chipmunks adventure…Alvin & The Chipmunks Chipwrecked out just in time for Christmas. 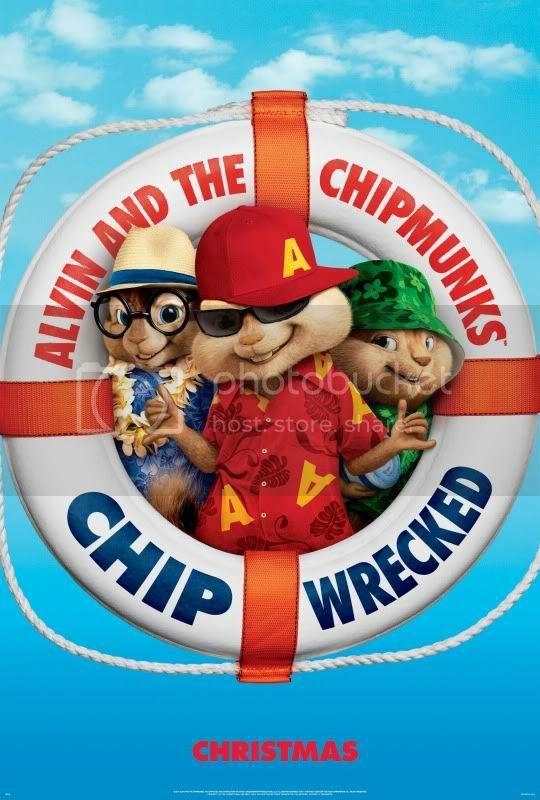 Returning to theaters on December 16th The Chipmunks are joined by the Chipettes on vacation aboard a luxury cruise liner. However, their fun comes to a halt when they become shipwrecked on a remote island. As they try to find their way home, Alvin and friends discover that the island is not as deserted as they think! Sounds like lots of fun for the little ones and with stars like Jason Lee, David Cross, Jenny Slate, Justin Long, Matthew Gray Gubler, Jesse McCartney, Amy Poehler, Anna Ferris and Christina Applegate it’s sure to be a hit with moms & dads too. You can check out the trailer here. I’m also glad to hear about their recent stop in Miami, Florida where they joined Despierta America‘s very own Karla Martinez y Poncho de Anda. 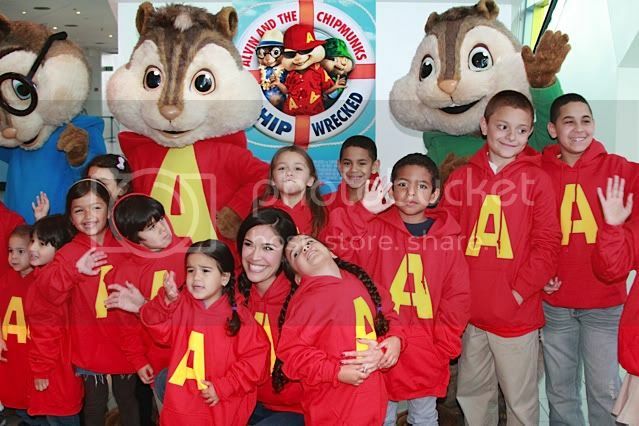 They held an advance screening for more than 60 children from Youth Co-Op, a not-for-profit organization with a mission to promote the social well-being of South Florida youth and families through education, employment and empowerment, and by the looks of this picture it seems as if the Chipmunks impacted the children in a very positive way. The smiles say it all. Now in honor of the new film hitting theaters on December 16th and Mami 2 Mommy‘s 12+1 Days of Christmas Countdown (12 more days to go! ), you now have a chance to enter to win (1) copy of the DVD of the second Alvin & The Chipmunks: The Squeakquel movie. It’s a great gift or stocking stuffer for your child that can’t wait to share in the Chipmunks adventures or an adult who could sure use a favorite childhood memory to make their Christmas just right. So Enter Below and Good Luck!